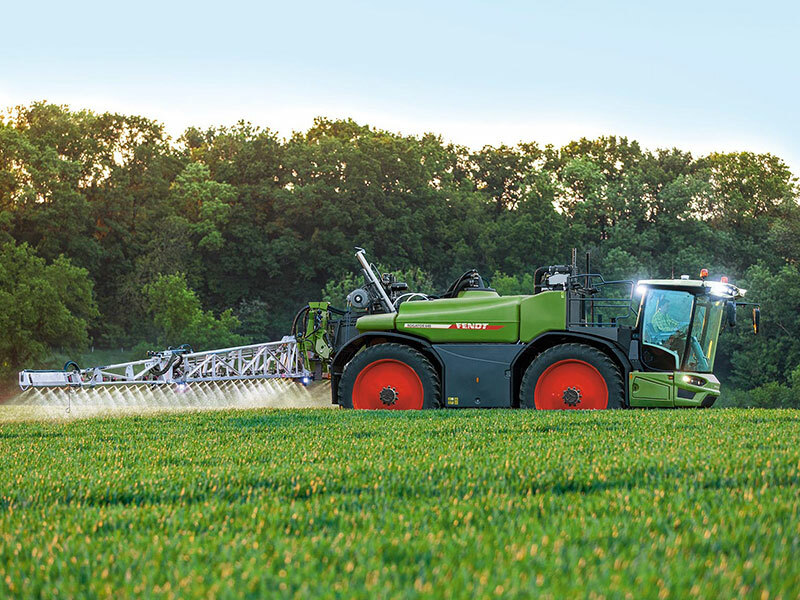 Fendt says its new range of self-propelled crop sprayers, the Rogator 600 series, will be available for sale in November following Agritechnica 2017. The self-propelled Rogator 600 series comprises three models – Rogator 635, Rogator 645 and Rogator 655 – with a nominal capacity of 4000, 5000 and 6000 litres respectively, and operating widths of up to 36 metres. Powered by Agco power engines ranging from 175 to 242hp, combined with the stepless drive concept and smart traction control, these machines have been designed for the larger-scale arable farmer and contractors. The revolutionary single-beam chassis forms the backbone of the three self-propelled models. Alongside a very low centre of gravity, this provides outstanding, balanced weight distribution, which also guarantees a stable boom. The hydraulic track width adjustment provides up to 2.25m flexibility, which is especially important for contract work. Together with its wide range of filling, boom and nozzle technologies, the Rogator 600 is setting the standard.